Hibarns Add Beauty And Space In Every Setting! Hibarns are lofted in the front and back for spaciousness with one portable ladder included for easy mobility. The front loft has a working barn loft door. It only opens from the inside making your barn secure. Finished Beautiful Look And More! Hibarns have a unique finished overhang called a Turkey Tail covering your barn loft door. 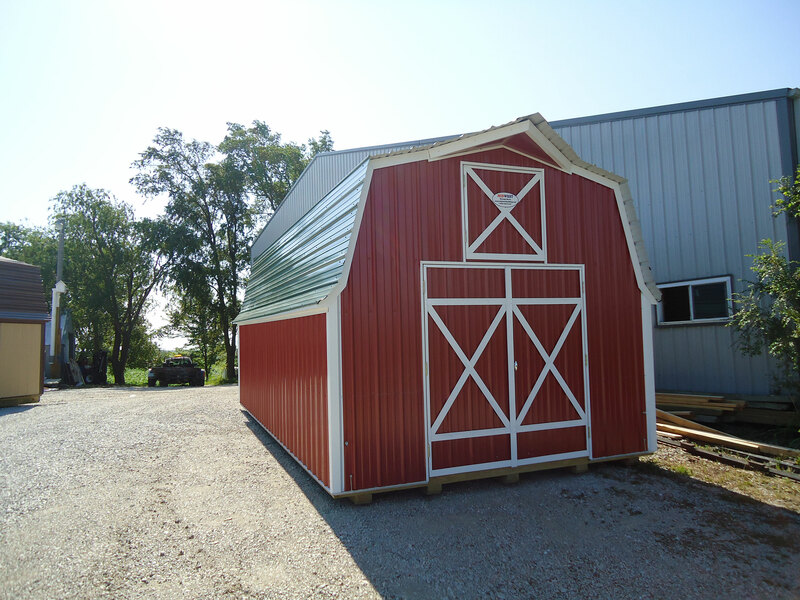 This gives your barn a beautiful finished look to it. The metal roof edge has rubber edge guards on it for safety. A Diamond Plate threshold sits below your 6′ key locking double door entrance adding durability to your barn opening. Add a 4′ x 6′ barn ramp for easy entry for $110.00. We use Lp ProStruct Floor for your flooring making it beautiful and durable. It resists fungal decay, termite damage, warping, splitting, and cracking.